Got Your Attention? 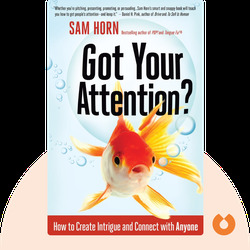 (2015) is the ultimate guide to grabbing and holding the focus of distracted people in today’s fast-paced world. 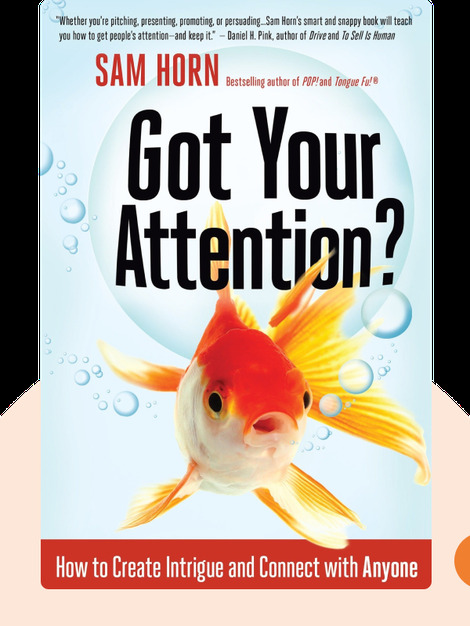 You’ll learn how to overcome the impatience and chronic distraction of your audience to make yourself a compelling, engaging speaker. Sam Horn, also known as the “Intrigue Expert,” is a messaging and branding strategist with 20 years of experience working with clients like Intel, NASA and Boeing. She has also helped thousands of entrepreneurs and executives produce books, keynote speeches and TEDx talks.